Mike Inman is a retired Firefighter living in Spokane with his wife MJ and has been reenacting for 26 years. He does reenacting and living history including the frontier army of the 1880's focusing on Forts Sherman and Spokane as well as portraying a surgeon 1861-1865 with the Washington Civil War Association. Mike has an extensive library for research to questions and some details of ancestors who fought in the Civil War. Mike also has a vast array of equipment including original medical instruments that he displays and allows people to handle so they can get a hands on experience, for example, of what an actual Civil War period amputation saw feels like. He not only reenacts throughout the Pacific Northwest but has attended many Civil War reenactments back east as well as participated in filming for Civil War oriented movies. Mike strives to educate or as he likes to say, "de-Hollywood the American Civil War" as well as entertain through both a presentation and a question and answer period. The program is designed to give both military and civilian medical history involving the armies of the Union and Confederacy. But the presentation can go in any direction the audience wants such as drug use, medical procedures, nursing activity, field hospital organization, statistics, etc. Go to "Download: Meeting Handout." to obtain the presenter's handout. 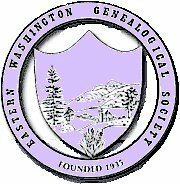 Saturday, September 16th the Northeast Washington Genealogical Society will be holding their 36th annual Fall Seminar at the “Ambulance Shack” located at the North Roundabout in Colville. Mark your calendars now! You don't want to miss this one. In fact, why not bring a friend? Remember you don't have to be a member to attend. Registration is at 8:30 a.m. with the program beginning at 9:00 a.m. Lunch is included. The Registration Form is attached below. Please contact Karen Struve at 509-690-8380 should you have questions.